If you want to see the historic fort of Delhi's Parliament House, India Gate, Eleven Murti and Agra, come to Bhujodi village of Gujarat. Kutch has all the features, has a distinct cultural identity and its own history as well. But there is such a great and artistic example of patriotism in Bhujodi village that you will be amazed. 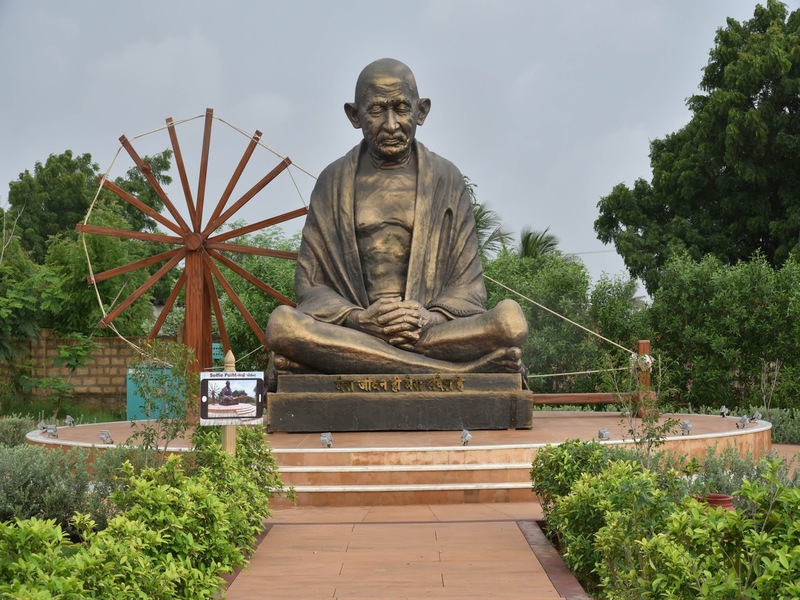 The recently built 'Bhujodi Vande Mataram Memorial Park' has a great journey from British rule to Independence. That too in some sense, as if all those moments are alive. These complete excursions can be seen in 17 luxurious rooms of Parliament House, built by modern 4D technology. 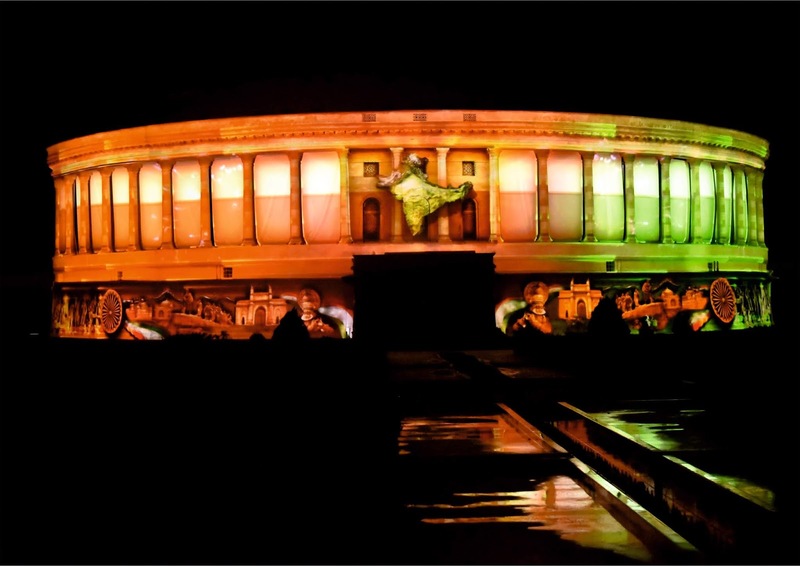 In the Vande Mataram Memorial, built on 12 acres, the Parliament House alone is built in one lakh square feet. It cost about 60 crores and it takes four years to build. The Ashapura Group, a company working in the field of mining, has created a 'Bhujodi Vande Mataram Memorial Park' and has given Bhujodi a special identity on the world tourism map. From India Gate, you enter this memorial park and you reach the parliament building directly through the beautiful path. On the left side will be the image of the eleven statues of Gandhiji's Dandi march, Delhi, and you will also see a huge statue of Gandhiji built in Parliament House on the right. Then you will see Agra Fort and inside it from Gandhiji to Sardar Patel, the vibrant figures of all the saints of independence. Within the Parliament Hall, there is a magnificent and spacious image of Bharat Mata created in the middle of the hall. The main museum is in the building of the Parliament House, where you will get a glimpse of the peaceful movement of the Swaraj movement, on the other hand, with the slogan of revolution, with the slogan of freedom fighters who fought the war of independence. In 17 rooms, you will see history from 1600 to 1947 through 4D technique in 17 episodes. Within the centre of the main hall in the Parliament building, a beautiful and huge image of Bharat Mata has been made. 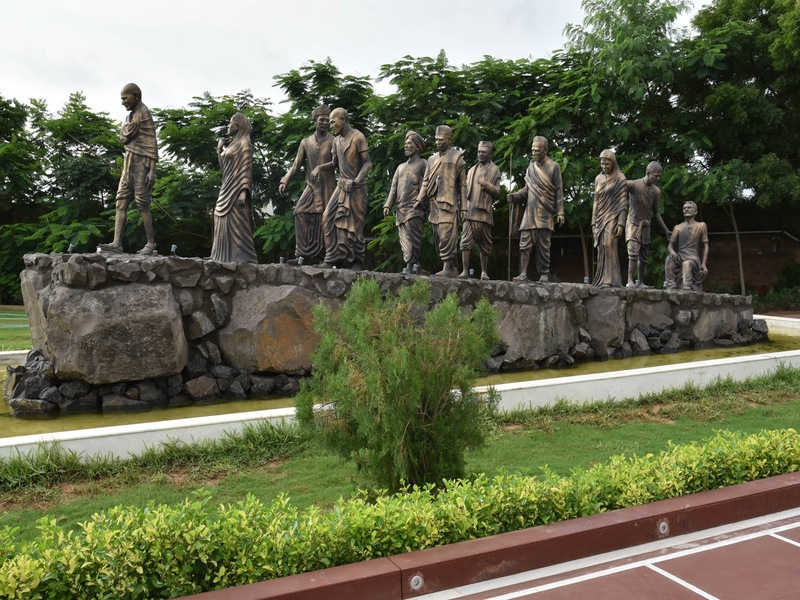 The purpose of this museum is to create a respect for freedom fighters of the country, as well as to create respect for freedom of the people of the country. Those who have not seen the Parliament House and many of the country's luxurious heritage in Delhi, it is an attempt to make them feel the same. - Ragini Vyas, senior manager, Ashapura group. In addition to 'Vande Mataram Memorial', Bhujodi village of Bhuj is famous due to the already made Hiralakshmi Kraft Park here. In addition to this, you will see people from all walks of Gujarat and tribal artists performing in Kutch, performing their art. You will also be able to see the wonderful view of the sound and light in this Pak and Memorial, which is lit in splendid light in the evening. By road: Even if you are a first-time driver, you will have no problem reaching Hiralaxmi Memorial Park. From Downtown Bhuj, Follow Anjar - Bhuj Hwy/Madhapar Rd to NH341 to Bhujodi, till you see Bhujodi Bus Stop. Turn right at Bhujodi Bus Stop onto Hiralaxmi Craft Park Road. The journey is 9.5kms and shouldn’t take more than 20 minutes. By rail: Take the Rail to Bhuj. From there on; take an Auto rickshaw for the short remaining distance to Hiralaxmi Memorial Park. By air: With taxi or car, head north-west, turn right towards Airport Ring Rd, Follow NH341 to Bhujodi. Turn right at Bhujodi Bus stop onto Hiralaxmi Craft Park Road, and the journey is 11.6kms should take around 25 minutes if there’s not too much traffic.